Week 5 of 52. This week Challenge Symmetry Landscape. Let me tell you this was one hard challenge in the winter time in Ohio. First was finding the subject and then next brave the elements, mostly cold with wind chills below zero. I found a couple of idea’s and went with this one. 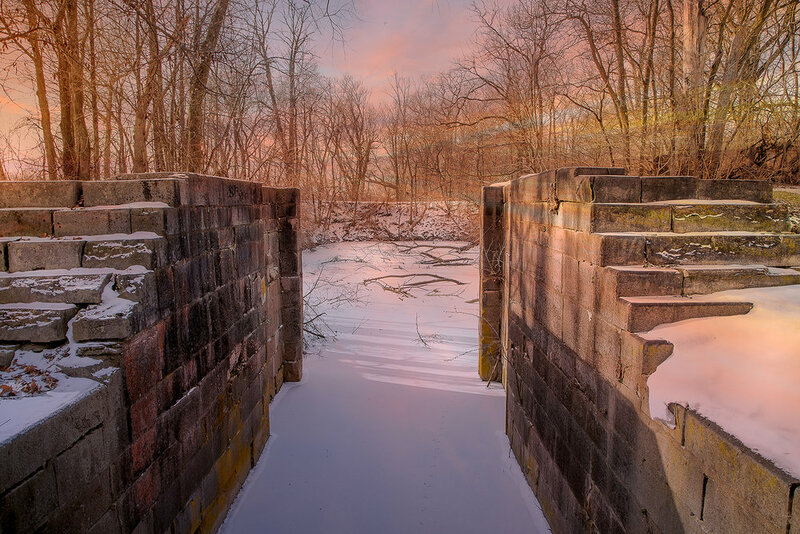 It’s an old lock in Defiance, Ohio in Independence Dam State Park. I have never been in this park. It did not take me long what I wanted to shoot. The walls immediately caught my eye. This was one of the hardest for me so far. I wanted the symmetry to be natural and not make it Photoshop. On a side note, I am glad that I have been doing these challenges. It makes you think out of the box and create some creativity memory. Well, here is week 5 Now to get ready for next week’s challenge.